Happy Monday, gang! 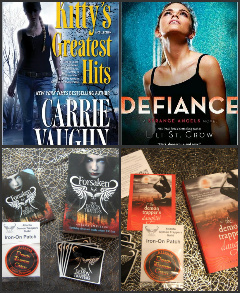 It’s time for Part 3 of the My Favorite Things Event Giveaway winners announcement! There are so many winners (from lots ‘o giveaways), that I’ve got to break these suckers down. Don’t fret if you haven’t won anything yet, there’s still much more to come! I’m also going to post the links for the other winning posts, so you can double check. I still haven’t heard from a few of you, and if I don’t in the next day or so, I’ll need to pick alternate winners (I hate having to do that!! ), so if you see your name, but haven’t gotten an email, check your spam! **All winners were chosen using Random.org and have been notified by email. Please respond with your full mailing address within 48 hours to claim your prize. Also,please allow up to 8 weeks for delivery of your books! Thanks so much for your patience, and congrats! 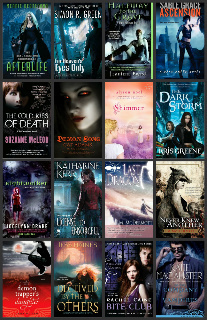 giveaway winners, MFT, My Favorite Things Event, urban fantasy week. Thank you very much!!! Congrats to the other winners. Congratulation! is most definitely, in order to "all" the winners in your most generous book giveaway. Congrats to all the winners! They got some amazing prizes!